Click here for latest Exhibition Brochure. Modern Art and fine contemporary paintings from the best of today's British artists can always be seen at our gallery in the world famous City of Bath. The modern art gallery is housed in a fine and elegant Georgian building and has a great choice of modern art from today's artists. As one of the leading modern art galleries in Bath, we offer both affordable art and major contemporary art pieces to art collectors worldwide. 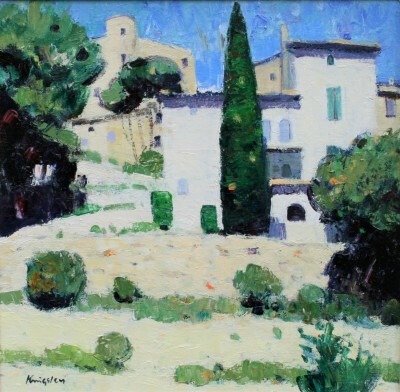 The gallery provides modern art for Business, paintings for the home and sculpture for the garden. There is also an art gift scheme, so whether it is art for Offices or art for homes our modern art gallery in Bath always has fine contemporary Modern Art, paintings, limited edition prints and sculpture from today's artists. Red Rag provides modern art works for many types of art collectors and visitors to art galleries in Bath. 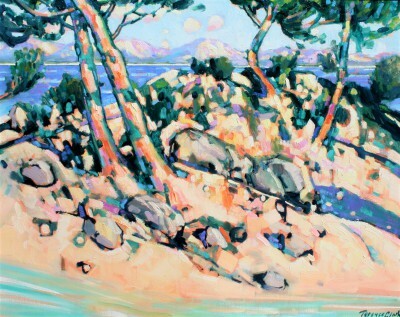 Modern art painting genres and subjects online at the gallery include Landscape paintings, Marine paintings, Still Life paintings, Portrait paintings, Architectural paintings. There are also modern art sculptures for the garden or home from leading sculptors plus collectible art prints from leading artists. The online website contains a comprehensive listing of current modern art works at the gallery. There is also a number of other modern art topics including: Modern Art Galleries listings; Art Investment; Modern Art News and Modern Art Glossary. We are not simply modern art dealers. The majority of modern art work shown and sold by the gallery is sourced from the art studio of the artist. This guarantees authenticity and value for money on each Modern Art investment. Artists showing original modern art paintings at the gallery include leading British artists Richard Adams , Stuart Buchanan, Donald Provan, Endre Roder, Catriona Campbell, Hope Blamire, Catriona Millar, Ceri Auckland Davies, Simon Garden, John Kingsley, Gordon Mitchell, Tina Morgan, Jennifer Irvine, Annie Ovenden, Rex Preston, Ann Shrager, Helen Turner and Robina Yasmin. 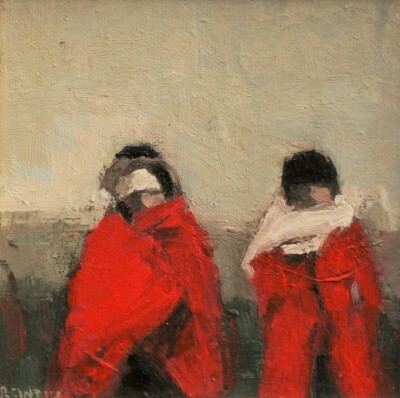 Red Rag is the number one choice for many art lovers and collectors visiting the art galleries in Bath. Throughout the year the gallery stages various art events featuring present day modern art. Artists regularly shown at the gallery include: David Barnes, Ceri Auckland Davies, Amanda Hoskin, Catriona Millar, Paul Robinson and Peter Heard. Those unable to visit the gallery can still see and buy modern art, contemporary paintings and sculpture from the gallery website. 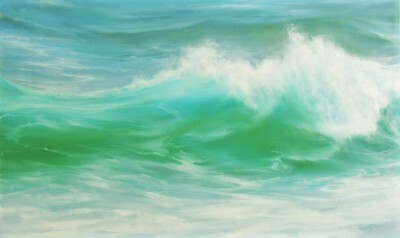 Limited Edition Prints can also be bought from our online art website Global Art Prints. And, buying Modern Art from Red Rag Art Gallery is simple. We sell and ship contemporary Modern Art worldwide. As one of the UK's leading Modern Art Galleries Red Rag offers art for sale everyday. Modern contemporary art, paintings and Sculptures from established and young artists can be viewed online 24 hours a day. Latest Modern Art News - New paintings in the gallery from Vanessa Bowman, Mary Davidson and Roy Hodrien plus new signed Limited Edition Prints from Jo March, and John Lines and Janet Ledger. Coming soon: The gallery always has new modern art works arriving. Up coming we have new paintings from artist Rex Preston plus new Limited Edition Prints from Mark Preston and Robina Yasmin and art prints of Bath from Alan Tyers.